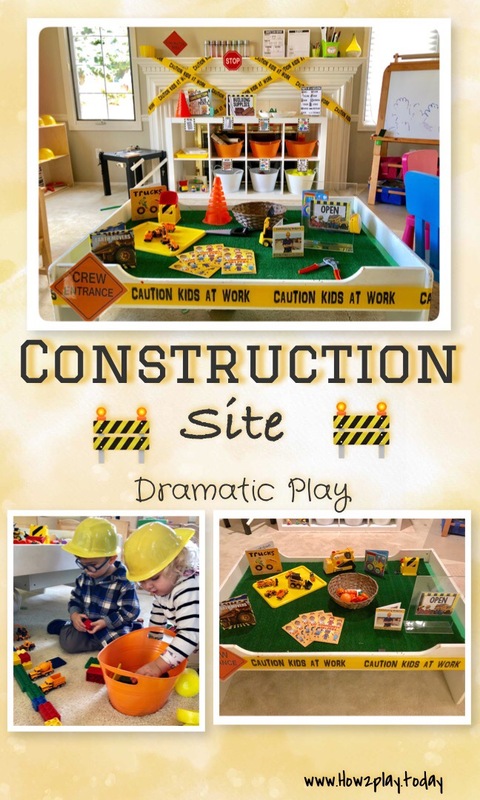 I am excited to announce that the dramatic play center is changing into a Construction Site! 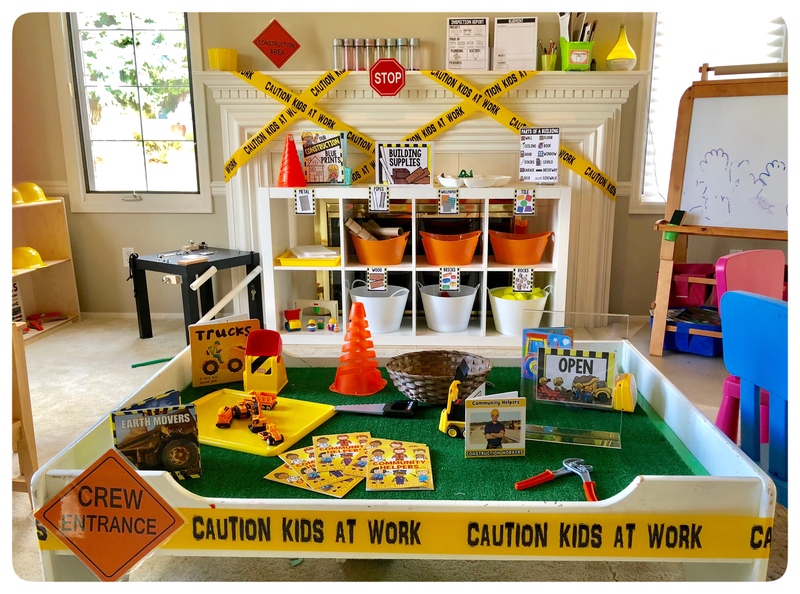 We will be building math, literacy, science, and social skills during our pretend play thanks to the addition of "Pocket of Preschool" set of Dramatic Play printouts. 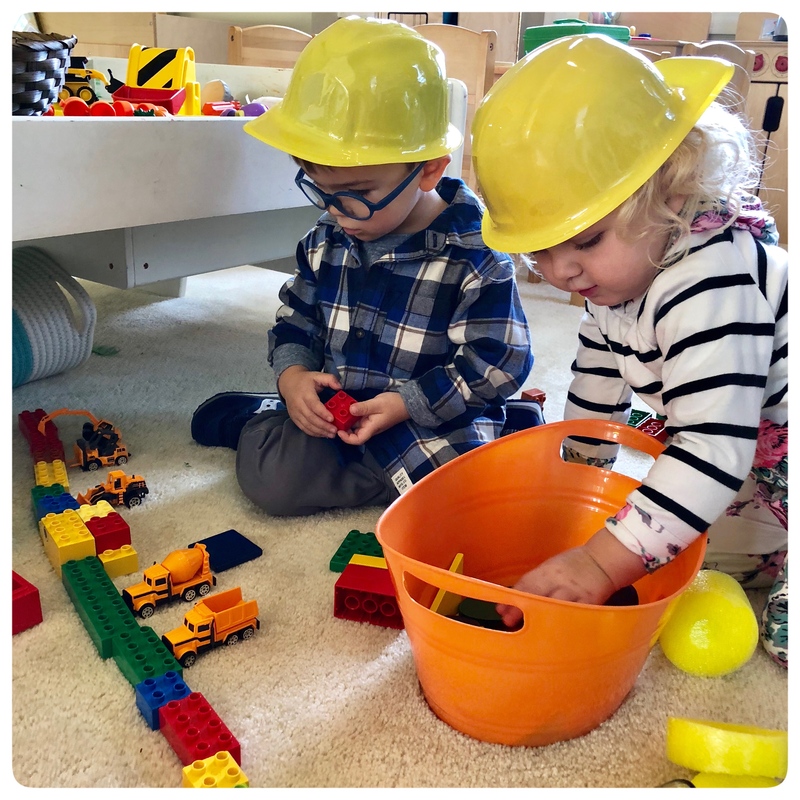 Play is powerful! 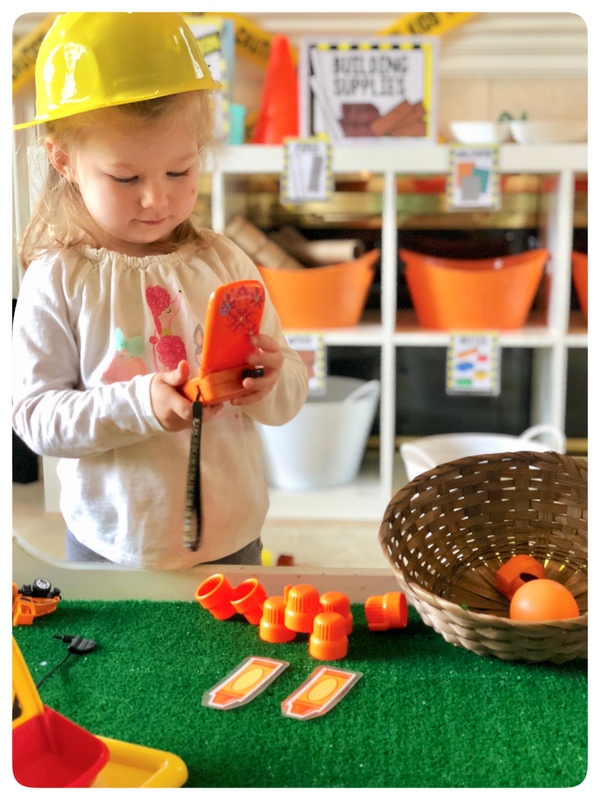 Learning through play creates meaningful learning opportunities. 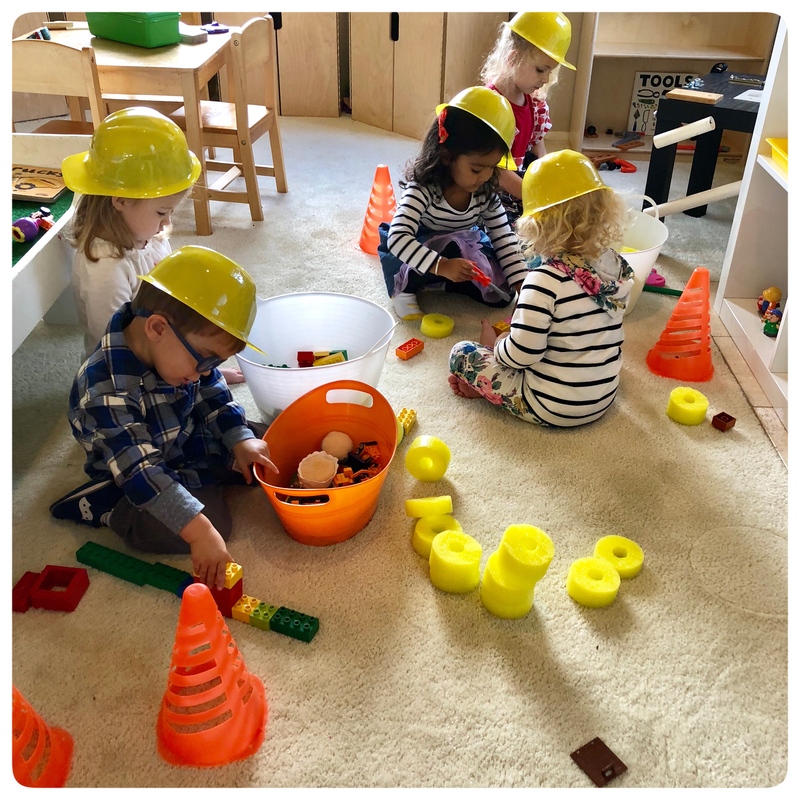 Support their learning and drive around looking for construction sites in your neighborhood. 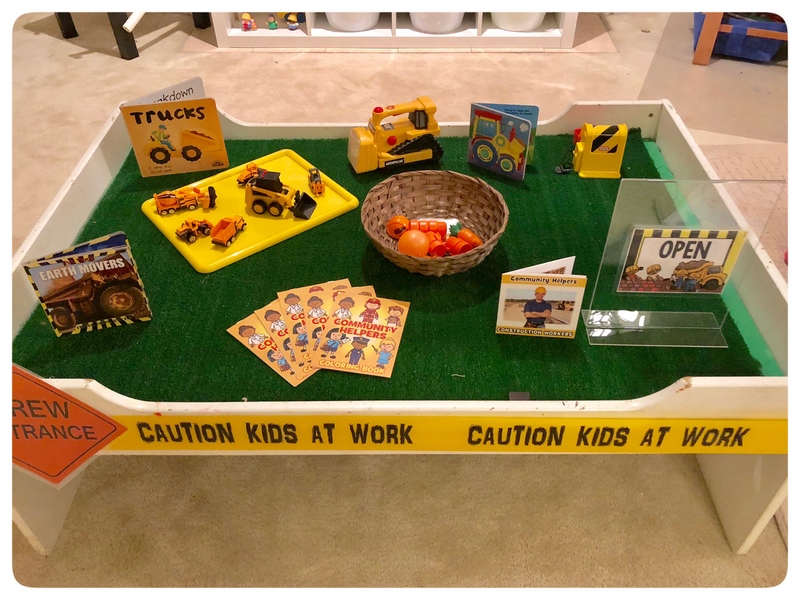 Stop and look at a site from a safe distance. 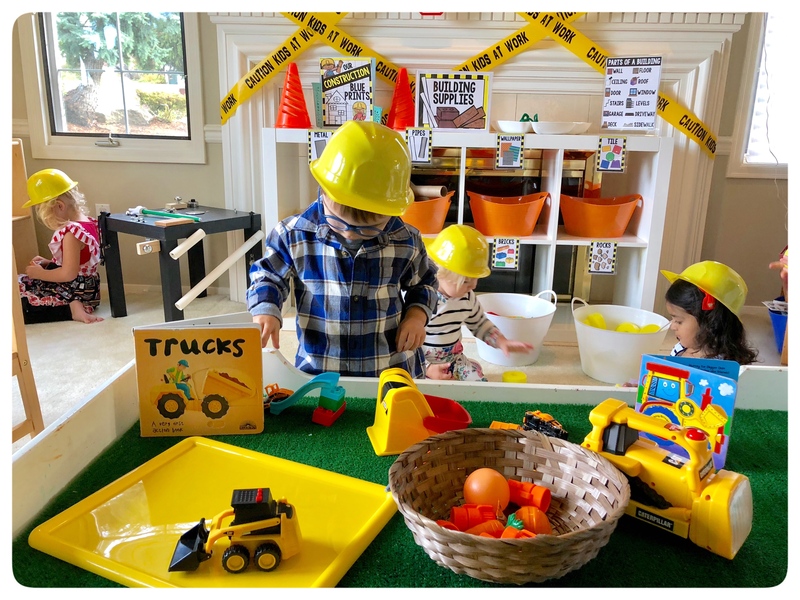 Talk about and notice the vehicles, tools, and materials they are using. What is happening and what do you think will happen next.